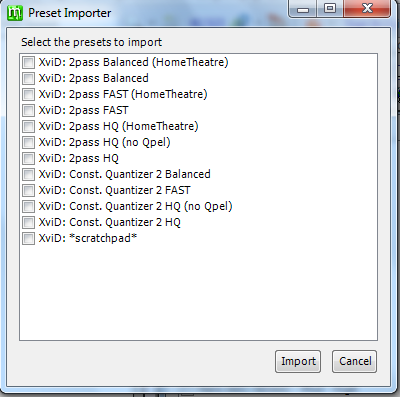 First of all you need MeGUI, Avisynth, Profiles, Nero AAC Codec, Mkvtoolnix. 1. 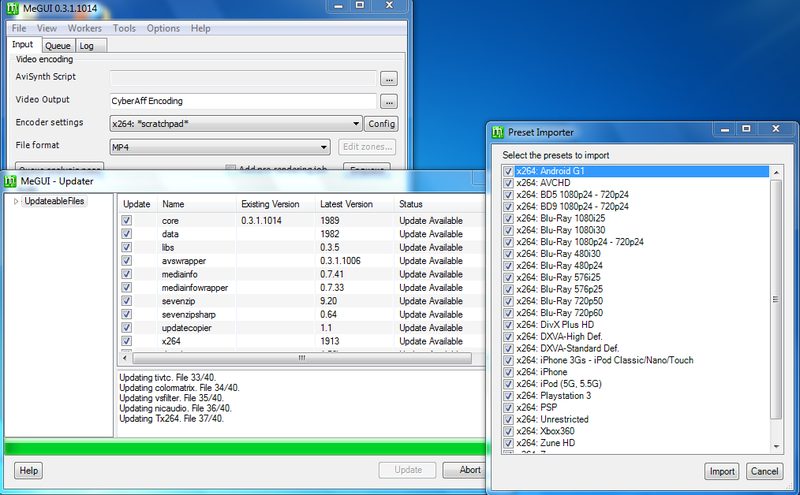 Install Megui, Avisynth and Mkvtoolnix. 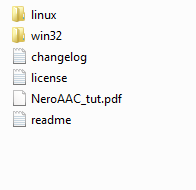 By Default - "C:\Program Files\megui"
Check all files and click on UPDATE. Wait until it gets updated! 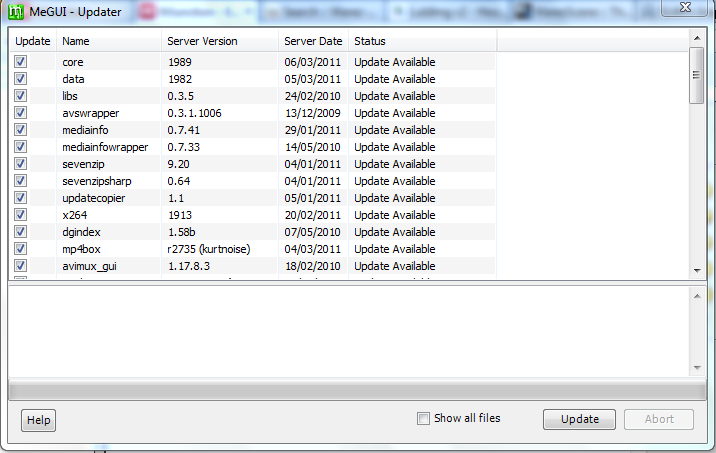 After you reach updating this file "Updating Tx264. File 37/40." 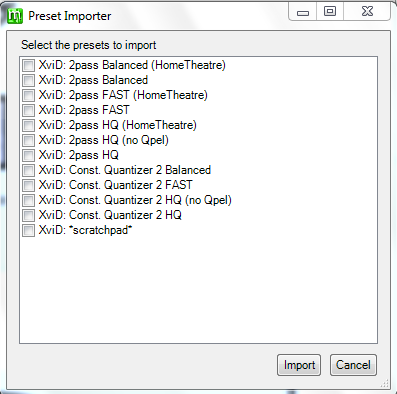 you'll get a pop-up of "Preset Importer" just select them all and click "Import" thats it! 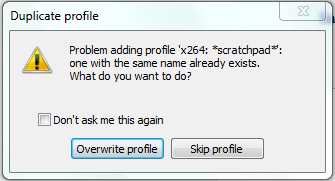 After you click "Import" you will get this "Duplicate Profile" notice just click "Overwrite Profile". After you reach "Updating STAudio. File 38/40." 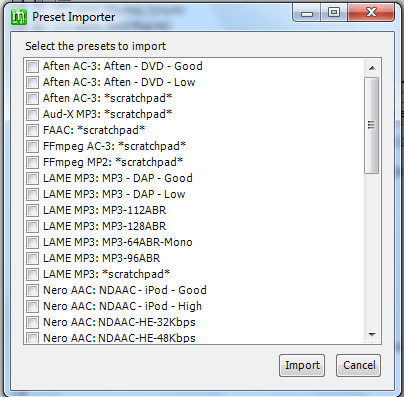 you'll get another pop-up of "Preset Importer" just do as i said above "Check all" and import. Then, Click "Import" you'll get another same box of "Duplicate Profile" just tick the box of "Don't Ask Me this Again" and click "Overwrite Profile". 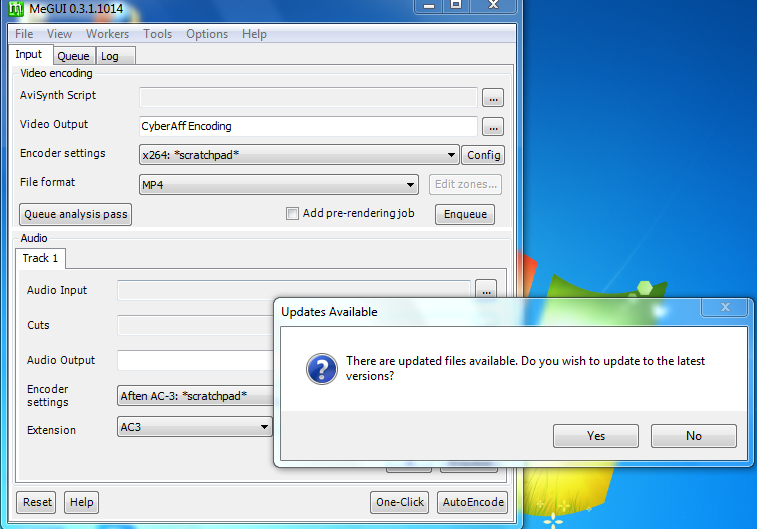 After the update is done you'll get the box of "Restart" just click the "Yes" button and wait till the MeGUI restarts! 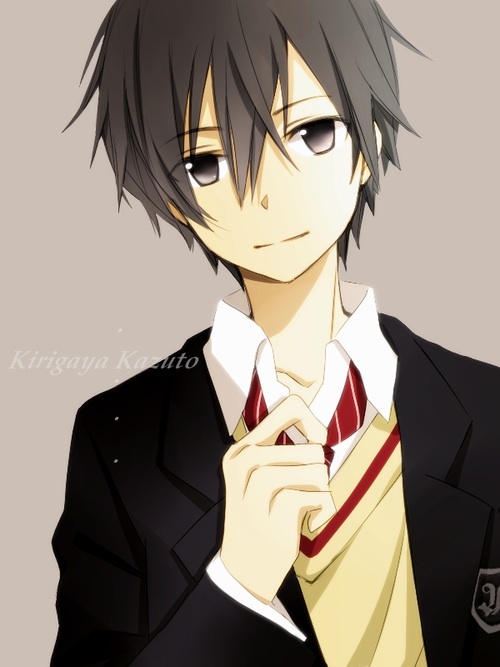 This time you will get a message but don't worry, Everything is okay! Just click YES!! Make sure all of them "Selected" if yes then click the "Update" button. 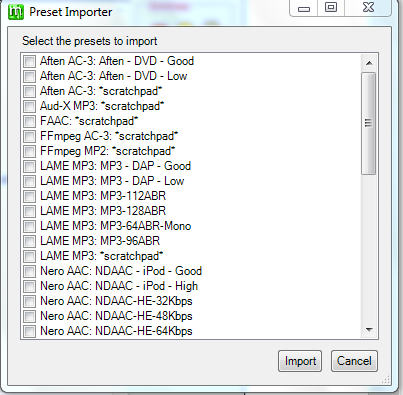 One by One, Select all and Import! After update finishes restart again by clicking "Yes"
Extract files and you will see some folders as shown below! You will see three files, Copy 3 of them! 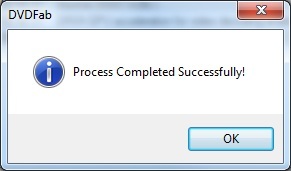 C:\Program Files\Megui Paste it if you got (merge the files) just say yes merge it! 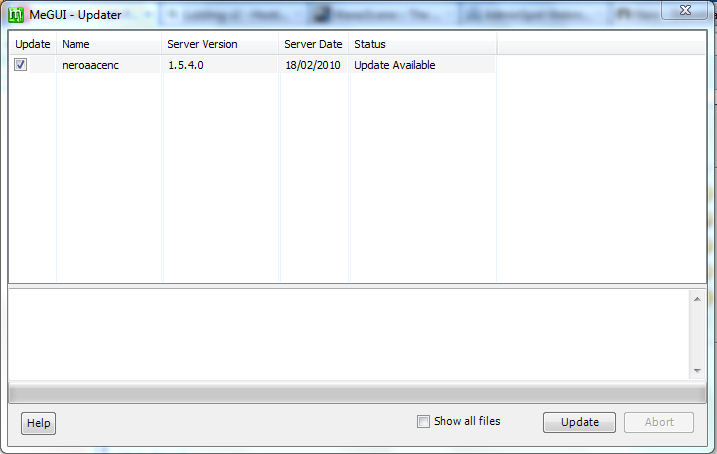 thats it now open MeGUI its working no need to update or anything! Go to your folder where you Downloaded the File "Profiles From above"
Replace the "allprofiles" folder with new one. 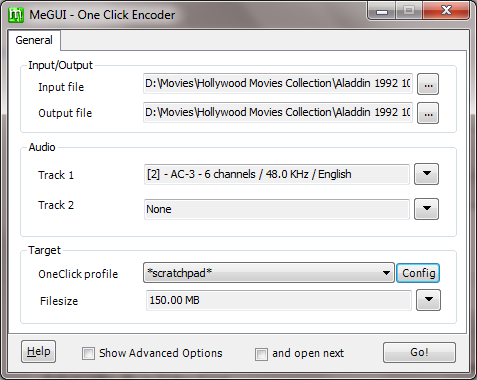 Now Run MeGUI we will Encode our first Movie/Video! 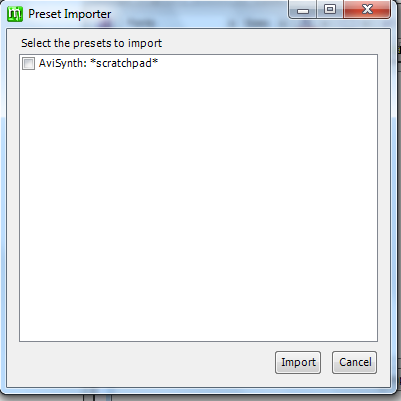 Goto: Tools > AVS Script Creator [CTRL + R]. 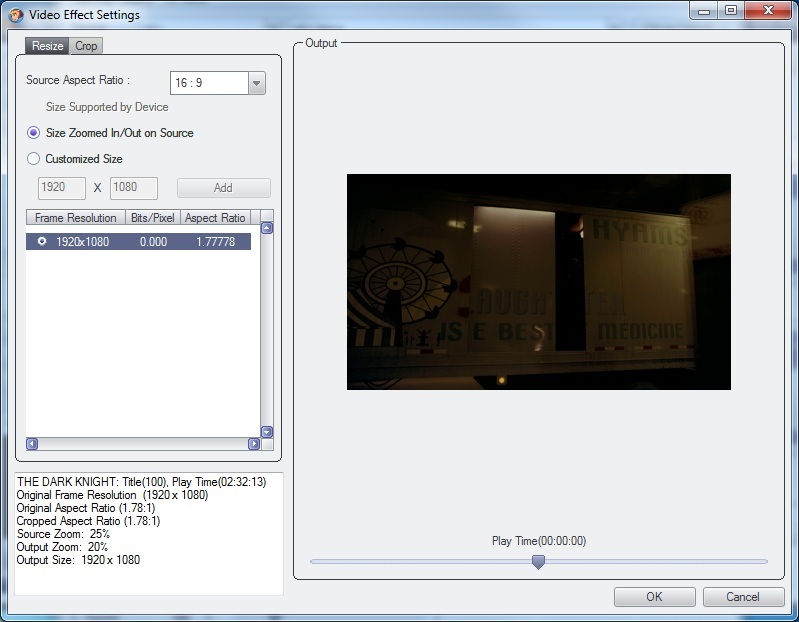 Select video file in Video Input. After That, move to next tab! Now click on UPDATE to Update your profile! Click OK and Select GO!! Now, It will open MeGUI main screen. Here you will find that your movie in in queue and ready to get encoded! It will take 15-30minutes for encoding process to complete! BINGO!! 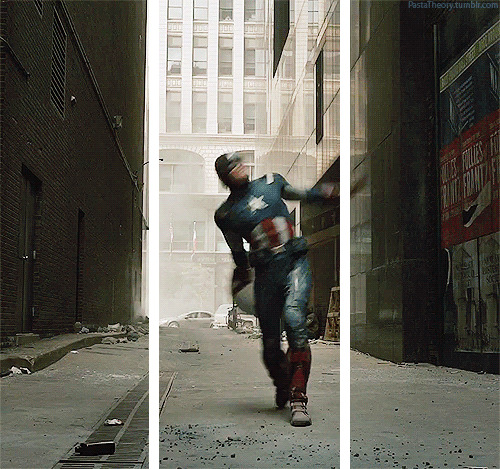 You just learned Encoding movies so fast and easy!? Now you just imagine how much space I've saved by encoding 2.5GB movie to just 300MB without any loss in Quality! 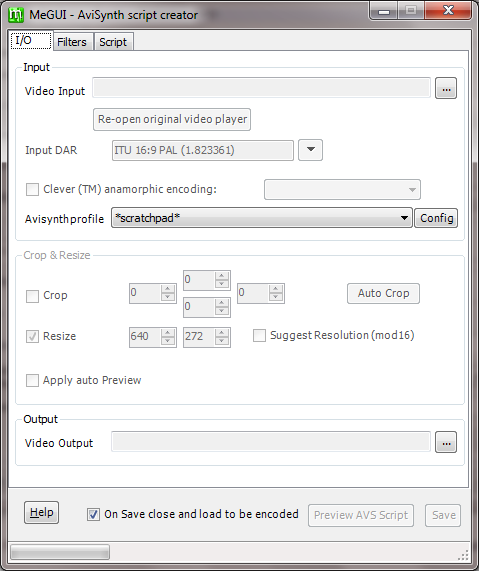 Remember if you're encoding a movie and the movie bitrate is "700" you can change it to atleast "450" if you tried to change it more like "700 BitRate" to "240 Bitrate" the video will totally fu*ked up!
. Once installed open the HandBrake application. The application should default to a simple interface like the screenshot below. Once you've selected the DVD you want to copy or back up insert it into your Mac. Now click on the icon that says "Source" and click your DVD drive. 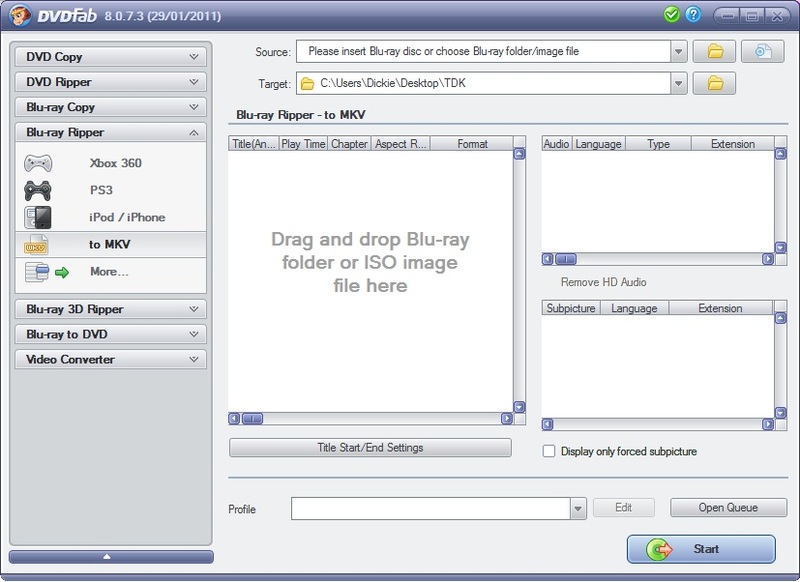 Click Open and you will be able to see many titles included in this DVD disk. Choose the longest title if this is a movie DVD, or choose your favorite chapter if this is an episode. 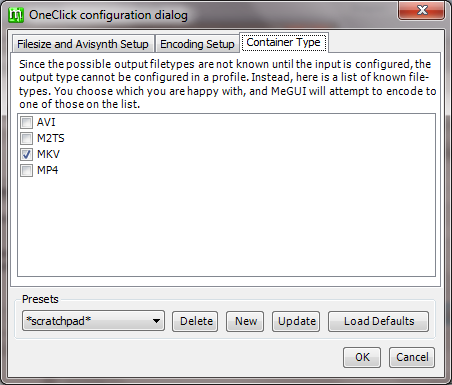 In this example I've selected MKV files as output format but the principle is the same for other formats. 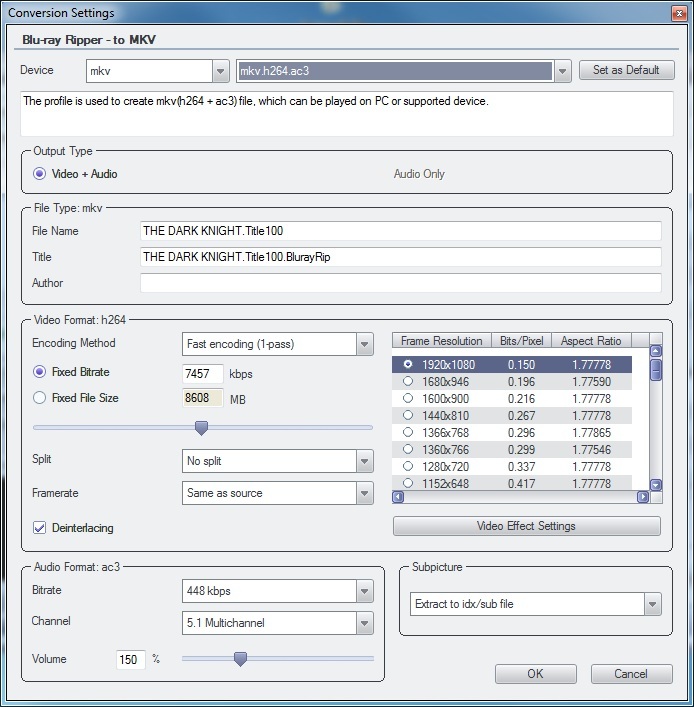 Once the format is selected you can select other settings such as video quality, audio track, Audio Sample Rate, bitrate, Picture Settings, etc. Check all settings and click Start. 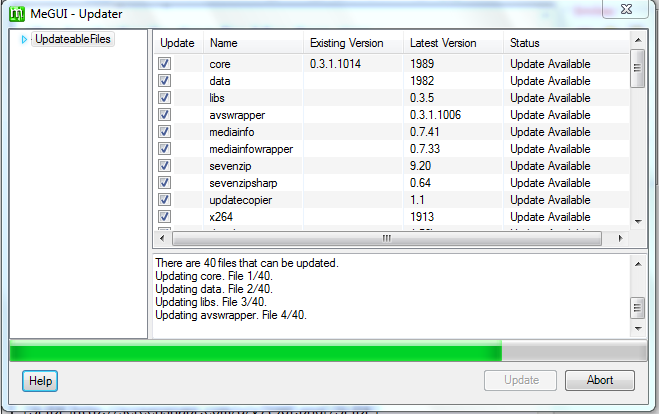 A progress bar will show its ripping speed; depends on many factors like machine speed filesize, etc. And then straight away the program will locate your disk and ask you to specify the blu-ray disks region code. As I am in Europe I chose 'B'. Depending on where you are in the world this will vary. Once you have selected your region code the program will immediately start to read the disk as shown below. This only take about 10 seconds to scan. 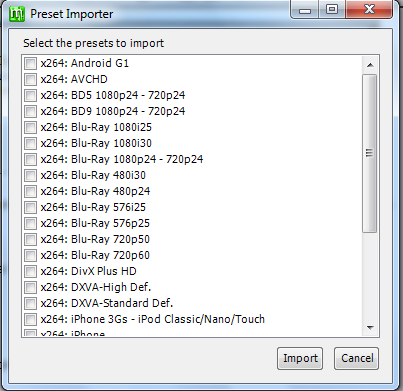 Now you will come to the main screen where you get to choose how you want to rip your blu-ray, the type of format you want it in, the codec you want to use and the audio. I chose MKV format (It stands for Matroska and is the container for the video) H264 (Codec and highly recommended) and AC3, (multichannel digital audio) but you may choose as you wish. If you are going to watch this on your Xbox 360, iPad, iPhone, iPod or PS3 then the choices are made for you as these devices only play with certain preferred formats. 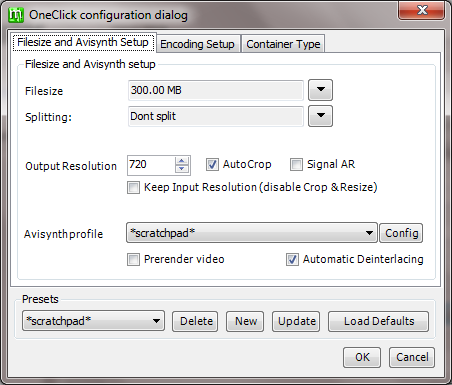 By clicking 'Video Effect Settings' button in this window you can choose to crop, resize or change the aspect ratio. I chose not to touch any of these and just let the program do it's thing. I left these alone, but you may want to experiment with them. At the very top of the main window, you can also change where the final MKV file will be placed. I chose to change the default location and instead created a folder on my desktop called TDK and have it placed in there. I much prefer having most things on my desktop, so I don't have to go hunting for them later. If you are after a more detailed explanation on what the other conversion settings do, then the people at DVDFab have created a useful guide. You can also click on the 'Green Tick' at the top of the main window for more settings. Once you are happy with your choices, just hit 'Start' at the bottom. 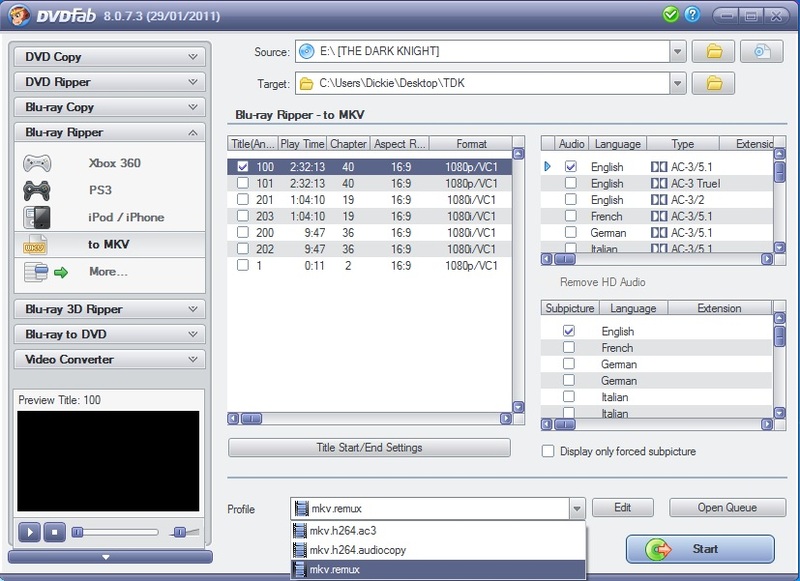 It can take a long time to rip and transcode a blu-ray, so go watch a film or read a book and let the program work. 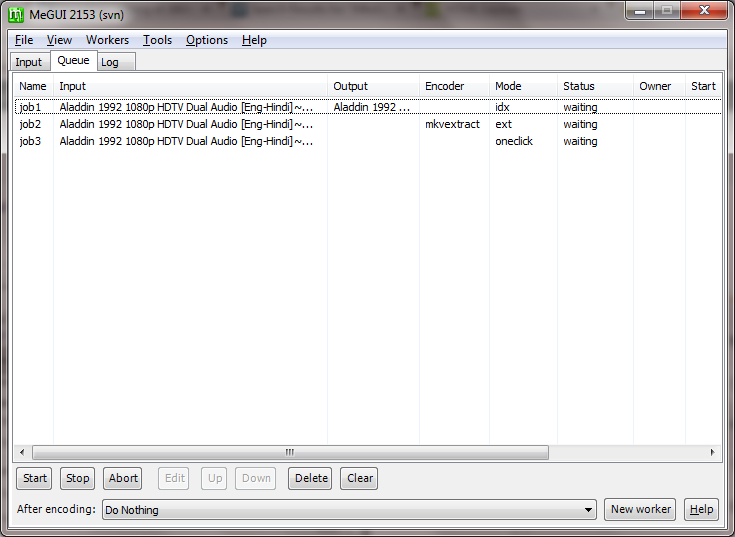 To rip and transcode my blu-ray with the settings I wanted it took about 2.5hrs. This will vary a lot with other peoples computers depending on specs. 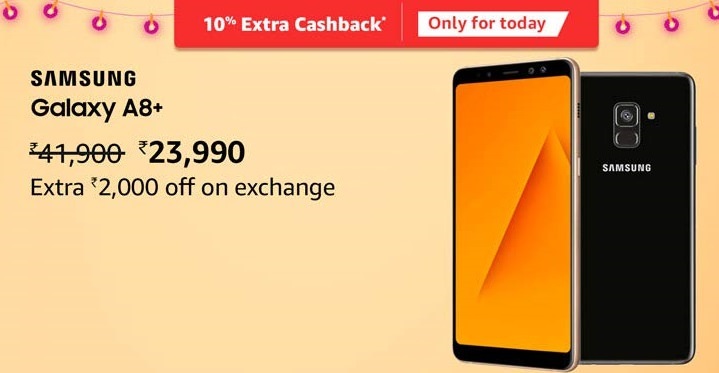 The more RAM you have will help a lot, as will a fast processor. USE AVS AUDIO N VIDEO EDITOR ... ..
мαятιη199631 bro the uptobox link for the profiles in the first method named MEGUI is dead. Can I get an alternate link? 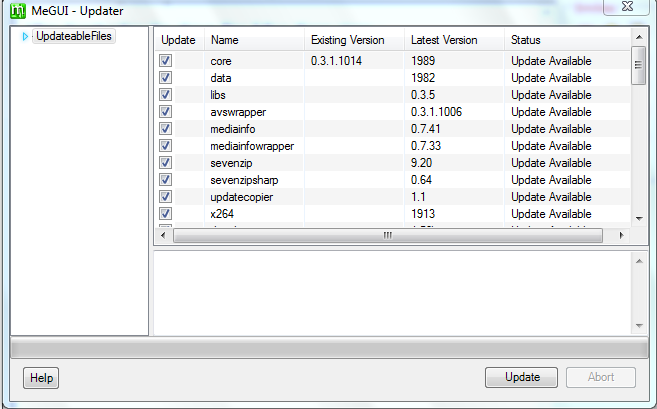 Please Update Profile link for MeGUI..!!! Costas, thank you for information, but Id like to know how can I extract the data, pls? 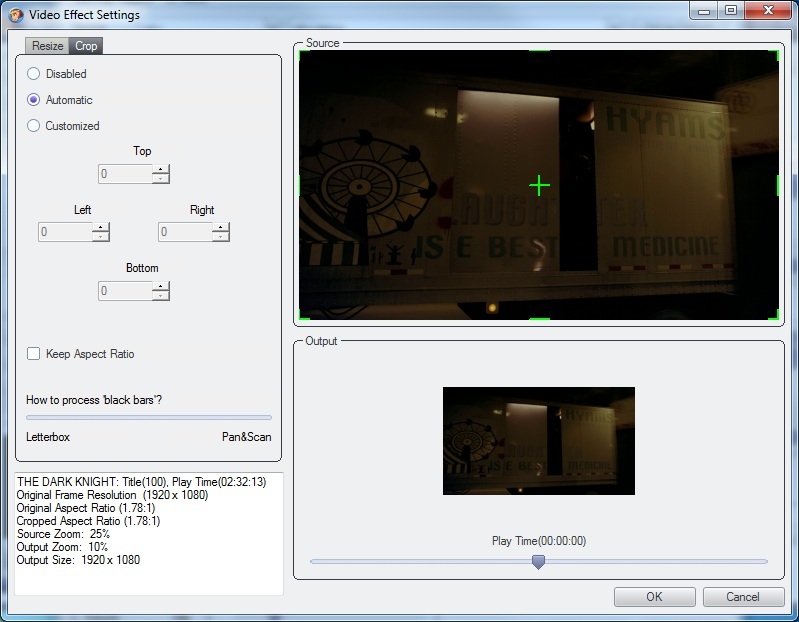 How to encode a video in more small size ?? Page created in 0.323 seconds with 49 queries.